The state Senate voted unanimously Thursday to repeal a 26-year-old law requiring a driver’s license suspension for anyone convicted of a drug crime, such as possession or distribution, unrelated to vehicle operation. 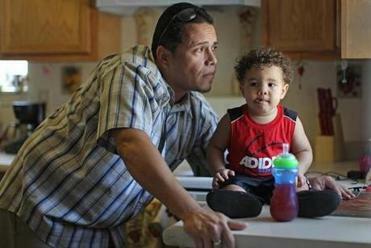 Senators said the law has become a serious impediment for ex-offenders hoping to rebuild their lives — making it difficult for them to get to work, drop off children at daycare, or attend drug treatment programs. “We need to help, rather than create obstacles, for people trying to return to a normal and an independent life,” said state Senator Harriette L. Chandler, a Worcester Democrat who sponsored the legislation. Massachusetts suspends a person’s driver’s license after a conviction for drug offenses that have nothing to do with driving. The driver’s license push is the opening salvo in a larger campaign to overhaul the state’s criminal justice system. Lawmakers are also weighing a repeal of mandatory minimum sentences for drug crimes and changes to a cash bail system thought to disadvantage low-income defendants. The political prospects of the broader effort are unclear. But the driver’s license change has attracted wide support, with Attorney General Maura Healey, the Massachusetts District Attorneys Association, and sheriffs all over the state joining defense lawyers and advocates for ex-offenders in calling for repeal. Former governor Michael Dukakis signed the suspension measure into law in 1989, at the height of the tough-on-crime era, saying he wanted to crack down on “neighborhood drug dealers who cruise the area looking for business and avoiding police.” Supporters, at the time, also suggested the penalty could serve as a deterrent to drug use. The state suspended licenses for 5,431 people convicted of drug crimes last year, the length of the suspension varying with the severity of the offense. Possession means a one-year revocation, while trafficking carries a five-year penalty, the maximum under the law. Once a suspension runs its course, ex-offenders are required to pay hundreds of dollars in reinstatement fees to get their licenses back. Many who are unable to afford the fees drive without a license, risking more fines and jail time. A Worcester advocacy group, Ex-Prisoners and Prisoners Advocating for Community Advancement, has run the campaign for repeal out of a ramshackle house in the city’s scruffy Main South neighborhood. Delia Vega, a community organizer with the group who once had her own driver’s license suspended under the law, said she “got the chills” sitting in the Senate gallery Thursday when the repeal passed. “What I pictured is the countless lives that will be changed as a result of this,” she said. There is no organized lobby for keeping the current law on the books. But defenders say the state should be taking licenses from drug traffickers. Advocates for repeal counter that dealers have no qualms about driving without a license; the law, they argue, only hurts those trying to put their lives back together. They also raise concerns about collateral impacts of the law. The state has moved in recent years to seal criminal records more quickly than it once did, giving ex-offenders a better shot at finding employment. But driver’s license suspensions for drug crimes unrelated to vehicle operation make a permanent mark on driving records, and employers sometimes check those records when making hiring decisions. The measure approved by the Senate Thursday includes a provision removing any mention of past suspensions from driving records. Even amid uncertainty over the fate of the legislation in the House — and the fate of the broader push for a criminal justice overhaul — lawmakers pressing for change declared the Senate action Thursday a sign of momentum.